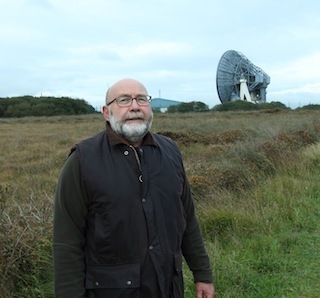 Want to learn more about the Goonhilly’s amazing archaeology? Charlie Johns, Senior Archaeologist at Cornwall Council’s Archaeological Unit, will be leading a guided walk for GVG visitors. The walk will take in the WW2 radar station site (RAF Dry Tree), Croft Noweth, a 19th century farmstead, Croft Pascoe Pool, several Bronze Age barrows and the Dry Tree menhir (standing stone). For those who want to swot up beforehand and to find out more about Charlie, you can visit the fantastic Linking the Lizard website, which has downloadable PDFs giving more details on the walk. 11am & 3pm: meet on the Village Green.